Understanding Driver Tiredness: What makes us Fatigued? We live in a 24-hour society – television, international travel, the internet and telesales mean that we work and play throughout the day and night. The fast-moving pace of the modern world also means we are doing more than ever before and are constantly on the go, trying to cram as much as possible into our days. As a result of our hectic 24-hour lifestyles, many of us don’t allocate enough time for sleep and regularly find ourselves in a state of sleep deprivation. Another reason society suffers from sleep loss is our poor attitude towards sleep. Most of us don’t take sleep seriously, as reflected in a recent survey (by Gallup) which showed that 94% of adults did not consider getting enough sleep to be important. Many people, particularly men, also consider tiredness to be a weakness and will push on and try to overcome feelings of tiredness rather than admit that they should take a break and get some rest. All too often the prevailing attitude is that sleep is for the weak or the lazy and that if you are strong or a hard worker you learn to get along without it. Like food and water, sleep is a biological need that we must fulfil in order to survive and if this need for sleep is not met, we experience tiredness. However, the need for sleep is different to that for food and water because, while you can choose whether to eat or drink, tiredness is unstoppable and whether or not you want to you will eventually fall asleep. The majority of adults need between 7 to 8 hours of sleep per night in order to operate at their optimum. While many people “get by” on less sleep, they are probably not performing/feeling their best. Many people consider tiredness to be a symptom of laziness and as something that can be overcome with willpower or motivation. Unfortunately, this is not the case and tiredness and its effects are inevitable. Tiredness has many neurobehavioral effects and it impairs our performance of all types of work - physical and mental. For example, when we are sleep deprived memory and recall of recent events is reduced, the reaction time is decreased, driving is more erratic and we are more vulnerable to making mistakes. Tiredness affects a range of cognitive abilities. In normal circumstances, we can cope with these effects without too much danger. But if we are involved in safety critical work, including driving, or are involved in an emergency situation, these effects can result in major problems. Ability to think laterally and innovatively. Many of us aren’t aware just how common tiredness-related accidents are. Did you know that tired drivers are responsible for at least 1 in 5 deaths on UK motorways (1 in 10 of all road deaths)? Across Europe, that amounts to about 4000 fatalities a year.  In Africa, the problem is thought to be even more pronounced: anecdotal evidence suggests that as many as 60% of truck accidents may be due to driver tiredness. One reason that driver tiredness is responsible for such a high proportion of fatal road accidents is that there is no braking or steering adjustment prior to these accidents. A driver asleep at the wheel will not act to avoid an accident and consequently is much more likely to cause death or serious injury. In fact, tiredness-related accidents are 3 times more likely to result in serious injury or death compared to other types of road accidents. Tiredness-related accidents are known to be a particular problem for truck drivers. Driver tiredness is the most likely cause of accidental death of a truck driver and is the most likely reason for a total write-off of a truck. The primary reason for driver tiredness is sleep loss. There are many reasons why sleep loss occurs, ranging from long work hours, long commuting times and family/social commitments to illness or noisy neighbours. A small amount of sleep loss on one night is not necessarily a problem, but what most of us don’t appreciate is that if you don’t get enough sleep for two or more nights in a row, then the effects build up. For example, if you go for 5 days getting 2 hours less sleep than you need, you will be 10 hours “in debt” (like a bank balance) and not safe to drive. The good news is that we do not need to make up lost sleep hour-for-hour and full recovery from even severe sleep loss takes only two consecutive nights of uninterrupted sleep. 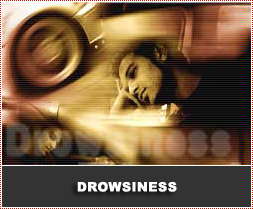 Tiredness not only occurs when we have had insufficient sleep but is also prominent at particular times of the day. This is because alertness varies naturally across 24 hours in what is known as a circadian rhythm. Alertness is lowest during the night (particularly in the early morning between 2-6am) and increases during the day (although there is another dip or decrease in alertness after lunch) and this cycle repeats itself every 24 hours. The activity of all of our body systems, for example, heart rate and body temperature, vary in a circadian rhythm and the purpose of these rhythms is to prepare us for sleep at night and activity during the day. For example, heart rate and temperature are naturally low during the night in order to promote sleep and then increase during the day to prepare us for action. Circadian rhythms are generated in the brain by a cluster of cells known as the body clock. Our circadian rhythm in alertness is the reason why we perform worst in the early hours of the morning and why tiredness-related vehicle accidents and industrial accidents are likely at this time. Anyone who has tried to stay awake all night knows that it is most difficult between 2-6am and then things seem to get easier. You feel better as the morning progresses because your body clock starts to swing back into daytime/ awake mode. After lunch between 3-5pm there a circadian dip in alertness that is sometimes known as the “afternoon slump”. Again, there is an increase in tiredness-related accidents at this time of day. Unfortunately, many of the things that we think will help deal with driver tiredness are actually ineffective. Research at the Loughborough Sleep Research Centre has shown that winding down the window, switching on the air conditioner, chewing gum and getting out to stretch your legs have a limited effect. These strategies will improve your alertness briefly, but within minutes you return to the same level of tiredness. These strategies should not be relied on to keep you awake. While getting out and stretching your legs will relieve the fatigue associated with concentrating on the road or holding the steering wheel, it will not remedy tiredness. If you are tired the only safe solution is to stop driving. Many people believe that motivation, training, professionalism, and experience can protect them, and their driving skills, from the effects of tiredness. Unfortunately, none of these factors can prevent you from falling asleep when tired. Sleep is a basic need like food and water. Whether you want to or not, if you stay awake long enough you will fall asleep. You won’t fall immediately into a long sleep, but your body will take microsleeps that last from a few seconds to 30 seconds. Microsleeps are uncontrollable and the longer you are awake the more frequently they occur. It is important to appreciate that when we are tired we tend to over-estimate our alertness. Research has shown that many of the drivers involved in tiredness-related accidents did not recognise they were in need of sleep and believed they were well-rested when they were not. It is a driver’s legal responsibility to ensure that he or she is fit to drive and has had sufficient sleep before commencing work. There are a number of common sense lifestyle adjustments that you can make to improve sleep and general well being. Driving for a living can make it difficult to access healthy food. Drivers are typically at work or asleep when shops are open. As a consequence, drivers tend to eat high sugar and high-fat meals from road houses or vending machines. Night drivers may also face additional dietary problems because they eat at night when food is digested less efficiently. The poor diet and sedentary lifestyle of many drivers mean that this group has a high incidence of obesity and gastrointestinal complaints such as stomach ulcers. To avoid these problems drivers need to ensure that they have eaten a healthy meal before beginning a shift and that they have access to a healthy meal during their shift. Drivers should particularly avoid food and drinks high in sugar, such as chocolate, as these give you a temporary sugar-rush and then leave you feeling sluggish. A more sustained and healthier source of energy can be found in complex carbohydrates such as bread or cereals. Indigestion and hunger pains are obviously not going to help you sleep. While you might be able to fall asleep soon after caffeine or alcohol, both of these substances will alter the structure of your sleep. Research has shown that even one glass of wine or cup of coffee with dinner influences the quality of your sleep. Many people who have difficulty getting to sleep simply don’t take the time to relax or wind down before they climb into bed. A warm bath or shower will not only help you get in the mood for sleep, but research has shown that we fall asleep more quickly if we warm up cold hands and feet. Listening to quiet music or some gentle stretching will help to relax both the mind and body and promote sleep. Most of us are aware of the benefits of exercise, but did you know that exercise can improve your sleep? It is important that you don’t exercise just before sleep though as the adrenalin released during exercise can make it difficult to get to sleep. Your bedroom has an important influence on your sleep quality and should ideally be dark, quiet, cool and comfortable. You should use your bedroom only for sleep and keep computers or TVs in another room. This way you will come to naturally associate the room with sleep and feel relaxed when you enter. As driving is a safety critical task it is essential that you manage your tiredness on a long term basis by ensuring that you get regular good quality sleep. You also need to plan your journeys to include regular breaks at least every 2 hours. Don’t park on the hard shoulder. If you’re on the motorway, take the next exit and find somewhere safe to park, or stop at the next motorway service area. Caffeine takes about 20 minutes to take effect, so use this “window of opportunity” to have a short nap of no more than 15-20 minutes. If you sleep for much longer than 20 minutes you can fall into a deep sleep and wake up feeling groggy (this feeling is known as sleep inertia). Please make sure you lock the doors before settling down for your nap. It is essential to remember that this advice only offers short-term relief from driver tiredness. It is an emergency countermeasure to driver tiredness and is no replacement for a good night’s sleep. Information supplied by Awake, the Fatigue Management Consultancy. Awake Ltd can be contacted at 4 Percy Street, London W1T 1DF, United Kingdom. 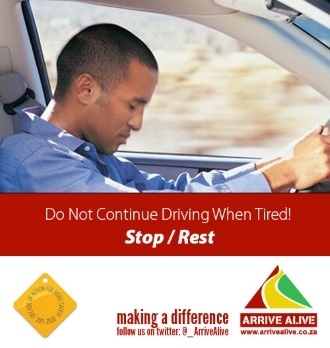 Driver tiredness is one of the most significant threats to the safety of all road users. This is often seen as one of the "driver distractions" taking the eyes and concentration of the driver away from driving. Driver tiredness often leads to head-on collisions and rollover crashes. 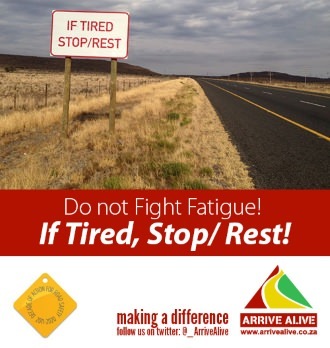 On the Arrive Alive website, this is discussed on several pages with reference to Driver tiredness, Driver Fatigue and Drowsiness.